In Module 2 you learned about adult learning theory and in Module 3 you learned about models of professional learning for adults. 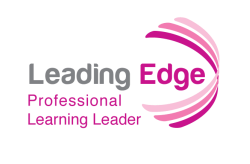 In this module you will examine the role of the Professional Learning Leader as one who facilitates learning for professional adults in a face to face learning environment. This module is intended for those who host professional learning at a school, district office, or county office where you control the learning space environment. You will learn how you can begin to consider your professional learning space as a model of what classrooms can be to meet the needs for specific learning activities. You will learn that space plays a vital role in collaborative and creative learning and the connection between pedagogy and teaching strategies demand that spaces for professional learning be redesigned.